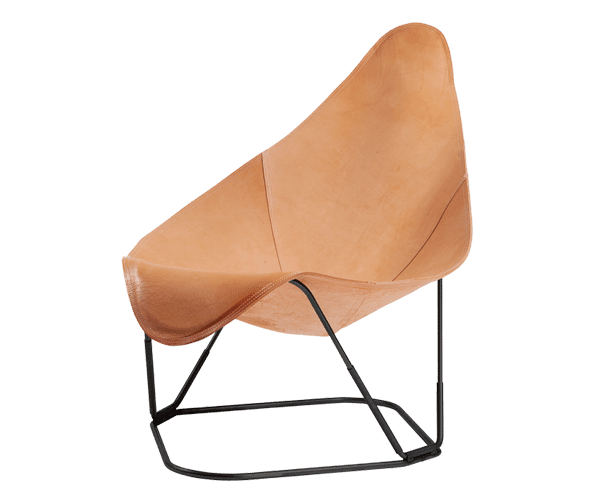 “La Mariposa”, or the “Butterfly chair”, designed in Buenos Aires in 1938, is also known as the “BKF chair”, named after its three creators Bonet, Kurchan and Ferrari. Manufacturer Knoll had production rights but gave them up in 1951 and the design is now free and there are various vesions today. Cuero with its Argentinian background and 25 years of leather experience take this breathtaking design very seriously. This version is called the “Abrazo“.